"Under African Skies," a new documentary from Joe Berlinger on the making of Paul Simon's Graceland, will debut on Jan. 22 at the 2012 Sundance Film Festival. The premiere kicks off a year-long celebration of the groundbreaking album's 25th anniversary. That includes a commemorative edition deluxe collector's box set as well as a special two-disc set from Legacy Recordings this spring, each featuring the original album with bonus tracks and the director's cut of Under African Skies." Graceland eventually sold 14 million copies worldwide, and was named Album of the Year at the Grammy Awards in 1987. The title track then earned a Grammy for Song of the Year in 1988. 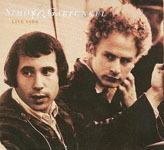 In many ways, 'Graceland' was the most extraordinary experience in my entire career," Paul Simon said, in pre-release materials. The insight into rhythm was the great gift that I received from making the trip to South Africa, and collaborating with African musicians." The film details both the making of Graceland, and the controversy created when Simon made that trip to South Africa to record with local artists. 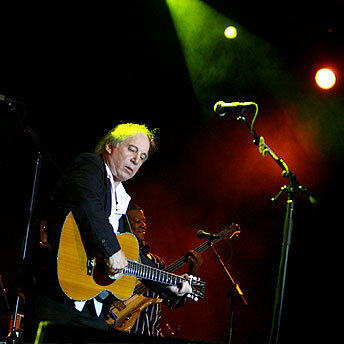 Simon provides a fresh perspective on the album, while gathering the record's original musicians for a concert reunion. Also interviewed are key anti-apartheid activists of the time, and musical legends Quincy Jones, Harry Belafonte, Paul McCartney, David Byrne and Peter Gabriel. Following its Sundance premiere, Under African Skies" is slated for international film festival screenings and a limited theatrical run as well as airings on A&E. Berlinger ("Brother's Keeper," Metallica: Some Kind of Monster," the West Memphis Three/"Paradise Lost" trilogy) is a two-time Emmy- and Peabody Award-winning filmmaker. 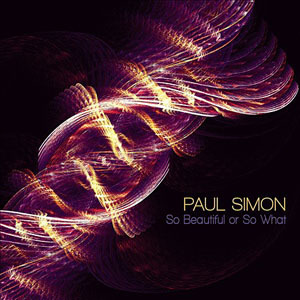 PAUL SIMONSO BEAUTIFUL OR SO WHAT: A career-spanning, sometimes duskily ruminative, quirk-splashed triumphsimultaneously bold in its constructions and timeless in its themes. Simon has, with this long-awaited effort, found a way to combine the subtlety and directness of his early work with the complexityboth musical and emotionalof subsequent exotic sideroads like Graceland and Rhythm of the Saints. Yet the album was more than an interesting interpolation. There was a growing sense of mystery and of forebearance, away from the thrilling din of music. Simon, in his quietest moments, seemed to be engaged in a desperate fight against the gloaming. And not always winning. 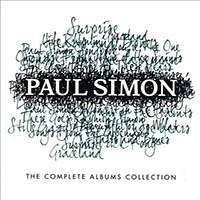 PAUL SIMONTHE ESSENTIAL PAUL SIMON (2007): Around about the time that Simon released Surprise, I took a look back across thirty years to see an amazing lineup of tunes"Late In The Evening," 50 Ways To Leave Your Lover," Kodachrome," Slip Slidin' Away," American Tune," Me And Julio Down By The School Yard," Diamonds On The Soles Of Her Shoes," Graceland," The Boy In The Bubble." My goodness, that's a whole lotta songwriting goodness right there! The good news is that Simon shows no signs of slowing down. Artistically, Surprise sat proudly alongside just about all of his other records. Another thirty years is probably too much to ask but hey, you never know. There's longevity, and then there's longevity! ONE TRACK MIND: ANOTHER GALAXY (2006; 2011 reissue): You could be forgiven if you thought a collaboration between folk-rocker Paul Simon and arty outsider Brian Eno would never work. Those perfectly justifiable doubts made the sweeping successes of 2006's Surprise, and this standout track, all the more, well, surprising. They found common ground on songs like Another Galaxy"a shivering electronic bed of music, overlaid with an otherworldly, echoing guitar and vocalwith the work coming in rushes so intense that they could only collaborate in week-long increments. In all, Surprise was recorded over 20 days spread out across two years. It was worth the effort, since the results ended up as the perfect amalgam of their two sensibilitiesat once singer-songwriterly, but also sonically broader than anything Simon had yet done. 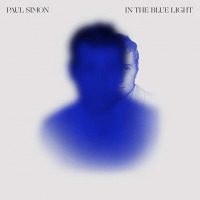 ONE TRACK MIND: PAUL SIMON, LATE IN THE EVENING" (1980): The challenge, and the joy, for a first-call sideman like bassist Tony Levin has been to remain adaptable. Sometimes, Levin's work with a single artist can do much to illustrate that hard-won, often-uncanny flexibility. 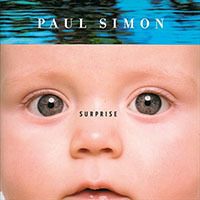 Take this Grammy-nominated Paul Simon track, which hit No. 6 in the U.S. in the wake of 1975's charttopping 50 Ways to Leave Your Lover." On both, you'll find Levin's stirringly versatile bass work. He'd played with a sparse openness on 50 Ways," only to cut loose as this track undulated with a rhythmic gallop: Yes, challenge, yes joywell put," Levin told us during an SER Sitdown. I've been lucky, indeed, to play with some great people through the years, and those recordings with Paul were wonderful. I'd say, at this stage of my career, I'm aware of how much I love playing good musicand how lucky I am to be able to do it." SIMON AND GARFUNKELBRIDGE OVER TROUBLED WATER (1970): Although Simon's staggering solo success has his music recognizable all over the globe, there is undeniably a different sort of magic when Garfunkel's hypnotic, soothing sound accompanies Simon's salient writing style and innovative voice. In their fifth and final studio album, Bridge Over Troubled Water, the now legendary duo put their stamp on music history with one of the most profound records of a generation. This blend of rangy melodies and harmonies stopped me in my tracks when I first heard it as a young doe-eyed teenager. And even now, when I drop the needle on the wax, that crackling sonance takes me to a better place. Although covered by possibly half of the working artists in the 1970s, the title track's amazing wall of sound and dramatic message still has the goose bump-effect, because well frankly, we've all been down and out and needed a helping hand.